Whether artistic skill and talent are an innate part of you and you are ready to fine-tune and craft those skills, or whether you simply have a passion for art and a strong will to learn, our bachelor’s in graphic design program was created for you. Graphic design is about taking a concept, an idea, a new creation and using it for a specific purpose. It is art with direction. You will be designing for a purpose, from both a passionate heart and strategic mind. Our different degree programs give you the opportunity to be as narrow or broad as you wish in this field. Through a BFA, a 70-hour, more inclusive major, you will focus heavily on the arts, which can be advantageous for those students planning to do post-graduate study. The BA and BS in Graphic Design provide the option for you to pair your degree with another area of study. These 46-hour majors allow the time for students to take a required minor in another area of expertise. There are countless career paths you can embark on as a professional graphic designer. Whether you are part of a small team of six in an in-house agency designing packaging for new and upcoming products, working on an ad campaign with a team of 40 at a creative agency or magazine, or whether you take an entrepreneurial path and start your own business, you can find the right fit for you. My education at WWU undoubtedly provided me with a solid foundation that has allowed me to work my way up and continue the tradition of growth and excellence in my company. My experience and education at William Woods was not just limited to the classroom. The conversations with professors after class and the countless extracurricular activities provided me with more education than one could have ever hoped for. Toby Stowe, graphic design graduate, now president of Design Supply, Inc., and DS Wholesale, Inc,. in Kansas City, Mo. William Woods had a tremendous positive influence on me. I feel as if my professors truly cared about my development as a professional designer and fine artist. Without their talent and guidance, I wouldn't be where I am today. I enjoyed my WWU college experience immensely. Holly Dirnberger, graphic design graduate, designer and illustrator for Red Letter Communications, Inc., in Cape Girardeau, Mo. My proudest moment of working in this program has been to play a role in helping students define and achieve their professional and life goals. The Bachelor of Arts in Graphic Design degree at William Woods University consists of 122 distinct credit hours for graduation—including 40 core major credits, 6 required elective credits, a minor, and a year of a foreign language. 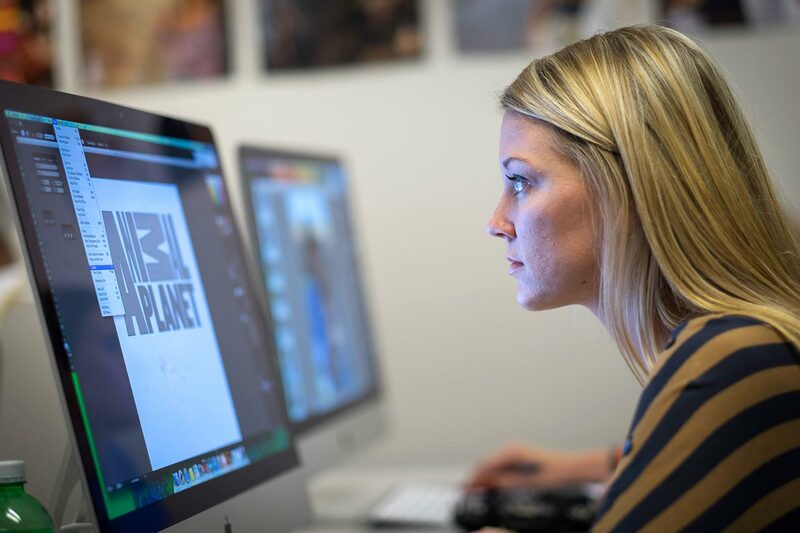 The Bachelor of Fine Arts in Graphic Design degree at William Woods University consists of 122 distinct credit hours for graduation—including 58 core major credits and 12 required elective credits. 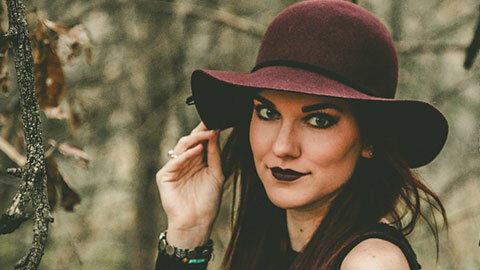 Learn how one Graphic Design graduate is making a name for herself in the music photography industry.